YouTube is a great resource to watch how jazz greats present themselves in concert, from talking to body language to trading choruses. I wanted to share five of my favorite jazz YouTube channels that are educational for anyone from a beginning jazz enthusiast to a professional musician. The Jazz Academy YouTube Channel is the media library of educational videos produced by Jazz at Lincoln Center. This educational resource helps the public learn about, appreciate and perform jazz. Many of the videos bring in members of the Jazz at Lincoln Center Orchestra or even special guests. Jazz at Lincoln Center also has a great YouTube channel for learning more about their big band and concert series. What I love about this channel is that the videos go into a lot of depth about the technical and artistic choices jazz musicians make while improvising. 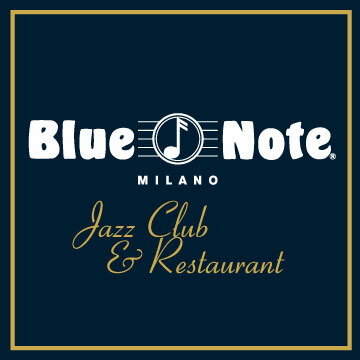 The Blue Note presents the best of the international jazz scene with influences ranging from contemporary jazz to Latin to rhythm and blues in several club locations including New York City and Milan. This YouTube channel presents videos from the concerts in Milan to offer all music lovers the unique experience of the club. What I love about this channel is is the sound and video quality of the performances. This level of quality makes you think you're in Milan watching the performance firsthand. NPR Music is a the official YouTube channel for the NPR Music website. This channel includes the popular Tiny Desk Concerts along with live shows, documentaries and more. The channel aims to help the public learn about all aspects of music, from performance to history and more. What I love about this channel is the wide array of music. From jazz to folk to rock, NPR offers their famous "Tiny Desk Concerts" for a fun, intimate musical experience. Vijay Iyer played a Tiny Desk concert in the same space Adele did, which creates an inclusive nature. Ranked as one of the most popular public radio stations in the nation, KPLU brings award-winning local and National Public Radio news, jazz and blues to the Washington state area. This channel presents studio performances of some of the nation's best jazz, blues and songbook performers. What I love about this channel is clearness of the music from the studio recording. Also, I enjoy how the musicians in these videos are comfortable and interact as if there is a club full of people in front of them. The VOA Music YouTube channel showcases the best performers in American music. This channel presents live concerts with "Hamilton Live," jazz with Eric Felten in "Beyond Category," the latest music in "Border Crossings," and soul music in "Soul Lounge." What I love about this channel is how the "Beyond Category" videos incorporate music along with short interview segments so you can hear in practice what the musicians are talking about. YouTube can be a great educational resource for learning about or listening to jazz.